This historical DVD specially commissioned by SCWO for International Women’s Day 2011 is now available at $10.00 each. The video showcases many Presidents of our Member organisations and some of their children and grandchildren, and chronicles the Singapore Women’s journey over the past 100 years. Call 6837-0611 or email scwo@scwo.org.sg if you are interested in purchasing this DVD for your archives (personal or organisational). These books contains brief profiles of the inductees of the Singapore Women’s Hall of Fame. The candidates for the inaugural list of inductees were identified by a team of researchers. The Singapore Women’s Hall of Fame (SWHF) is an expansion of the Wall of Fame. It aims to recognise and salute the outstanding women of Singapore in all fields of endeavour. It is a celebration of the women who have made, or are making, an impact on our nation – the boundary breakers and record holders, the risk-takers and change makers, the role models and the standard setters. They were the women who, at a time when social norms set limits on what a woman could do, pushed back the barriers and led the way for others. They were the pioneers, the pathfinders. Her Story presents a kaleidoscope of views on women, by women. This is a priceless treasury of essays covering a broad spectrum of topics which impact women, from mothering and careers to finance and sexuality. The authors reflect the diversity and vibrancy of women in Singapore today, representing a wide range of backgrounds and personal values. Together, they encompass five decades in age, and offer a composite portrait of women in Singapore in the 21st century. Marking the 25th Anniversary of the Singapore Council of Women’s Organizations, this publication is both informative and thought provoking, and sets the stage for further discussion and exploration of women’s concerns and aspirations. A comprehensive study of the achievements of Singapore women. From the fight against polygamy in the 50s to the ambivalence felt by working mothers in the 90s, this book cuts right to the core issues, combining hard facts with a sympathetic portrait of the changing needs and status of women in Singapore. This is a comprehensive report on regional workshop covering a wide range of issues including strategies for mainstreaming gender in the development agenda. This is a collection of essays documenting the effects of industrialisation and industrial work policies on women’s health, reproduction, and health education efforts in the ASEAN region. 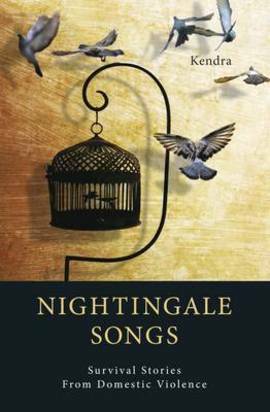 In Nightingale Songs, survivors of domestic violence share their personal stories and professionals talk about their involvement in this challenging field and what their experiences have taught them. This book provides useful information for those considering working in the field of domestic violence (DV), especially the importance of self-care, and will speak to anyone whose life has been personally touched by domestic violence. Private stories are revealed for the purpose of raising public awareness about violence in the home. Kendra presents DV as a social issue, needing to be understood and addressed at the community level. The diversity of stories reflect Singaporean society, illustrating that this social problem is not limited to one class or ethnic group but crosses all boundaries of race, religion, education and socio-economic background. Our Lives to Live: Putting a Woman’s Face to Change in Singapore explores and documents how women’s roles, choices, and voices in Singapore have changed in the last 50 years; how women, from all sectors of society, have helped to shape the Singapore we know today. The 31 chapters, some with a more academic slant, others with a distinctly personal tone, reflect the rich diversity and depth of women’s contributions to Singapore’s evolution in the last half century, and also point to the problematical areas that still need attention. The perspectives in this book are provided by three generations of women, and they put a human face — the woman’s face — to the tremendous changes in Singapore society over the past 50 years. 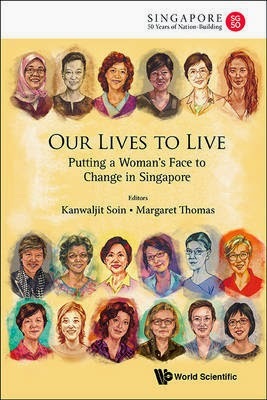 The authors include some of Singapore’s most accomplished women in many different fields — Speaker of Parliament Halimah Yacob, political scientist and diplomat Chan Heng Chee, global women’s activist Noeleen Heyzer, sociologist and politician Aline Wong, food ambassador Violet Oon, sports legend Pat Chan, law lecturer and playwright Eleanor Wong, and novelist Meira Chand. The Chinese Ladies’ Association was formed in 1915 by twenty-three independent and modern young women from prominent Chinese families in Singapore. 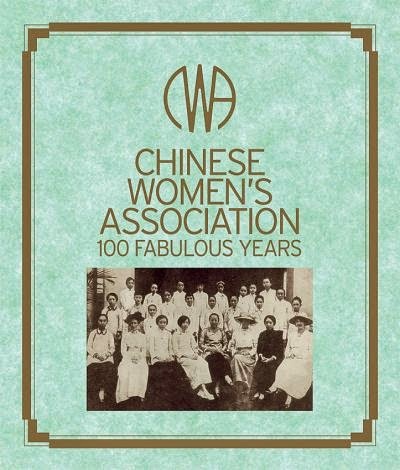 Chinese Women’s Association: 100 Fabulous Years begins with their stories. It then goes on to chart the lives of the association’s presidents and the impressive accomplishments of the CWA, including its thirty-two-year management and funding of Henderson Senior Citizens’ Home. The book also features articles written by members, past and present, reflecting on their lives; many of these pieces give the reader insight into the lives of women in 20th-century Singapore. Many women struggle to find success in juggling their numerous work and family responsibilities. Some women have gone on to create unique solutions to integrate career and life by continuing to work and yet meet personal as well as family needs. The book showcases the inspiring life storie of women in different season of life who took charge of their circumstances to achieve success on their own terms. It empowers women with their useful ideas for work and mothering so as to achieve work-life success. Taking a refreshing new approach to workplace politics, the book presents new ways to think about embracing opportunities in order to achieve personal and organization-wide career satisfaction. Rather than encouraging employees to move on and start their own businesses, it instead details how to move up within their current companies by learning to understand power bases and conversation more thoroughly. In this book, the first of its kind anywhere in the world, women leaders of Southeast Asia recount their life journeys in poignant portraits that will at once make you laugh and make you cry. Through candid interviews across the region, these women have come together with one common voice to share their stories in support of the empowerment of the Asian woman. Powerful forces for influence and change in the countries they call home yet remaining the never-silent voices of mothers, they are the cornerstones of their families. 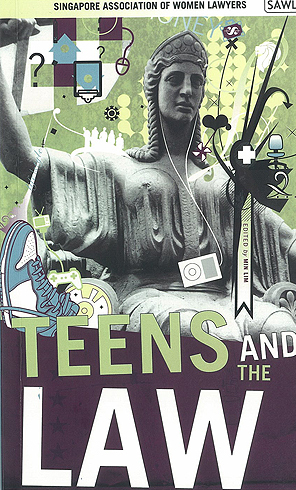 This book is an inspiring collection of stories of hope, courage and adventure. At times they are the stories of all-out determination to survive against the odds of social oppression, war, imprisonment and even torture. They will redefine the way we look at the evolution of the daughters of Asia. It is a cookbook that contain contemporary recipes for all palates. A fresh multidisciplinary perspective on gender inequalities by an associate professor at the Department of Genders Studies , Lund University, Sweden. Readers of this book will find insightul contributions that consider how gender relations in Asia – and indeed the very meaning of gender itself – are affected by neo-liberalism, globalisation and economic growth; security in all of its meanings; multiculturalism, race and class; family life, power and intergenerational support; religious discourses and activism; and my male norms in politics. This book is about gender dimensions of natural resource exploitation and management, with focus on Asia. It explores the uneasy negotiations between theory, policy and practice that are often evident within the realm of gender, environment and natural resource management, especially where gender is understood as a political, negotiated and contested element of social relationships. Ressurreccion, B. P. ; Elmhirs, R.
In exploring the progress made by Southeast Asian men and women, this book seeks to answer the following questions: (a) In what areas have women been able to achieve parity with men? (b) In what areas do women encounter specific disadvantages based on their gender as compared with men? and (c) How have women’s concerns and problems been addressed by the governments in this region with the aim of encouragin gender equality? 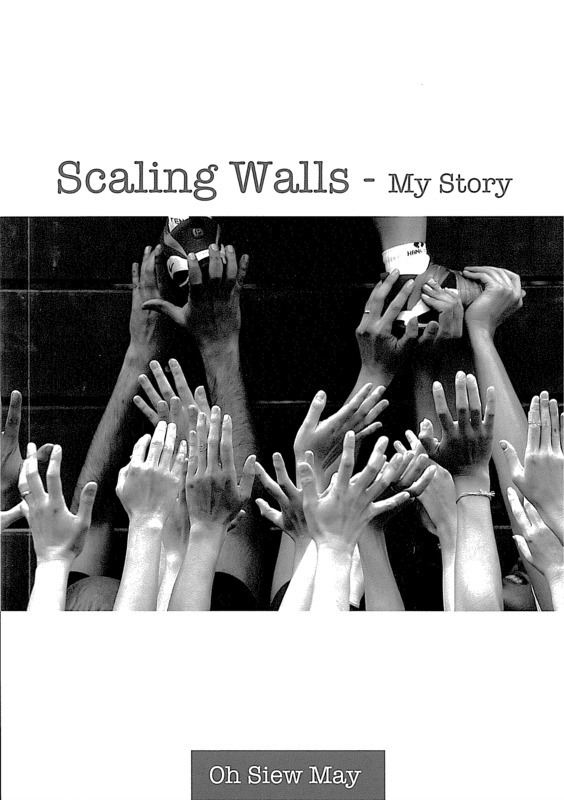 Scaling Walls – a truly inspirational book by a remarkable Singaporean lady named Siew May who has cerebral palsy. Available in English & Chinese. All proceeds to the Tan Ah Tah SAWL Scholarship Fund for the physically disabled students. The authors of this book scrutinize women’s roles, strategies, practices and discourses on political participation and gender-inclusive political reform in various arenas of political engagement, drawing on a variety of case studies covering India, Malaysia, Indonesia, and Cambodia. Contributions to this volume range from studies of political actors and institutions, public policy and gender mainstreaming, political theory and citizenship discourses, to the study of various women’s movements. Fleschenberg, A. & Derichs, C.
500 of their sisters in 90 countries contribute to this remarkable achievement by the members of UWA, Singapore in which by word and graphics women of the world envisage the year 2050. This timely and important book covers a wide range of Asian countries, offers original data from various perspectives and engages the latest research on women in politics in Asian . It also aims to put the Asian situation in a global context by making a comparison with the situation in Europe. 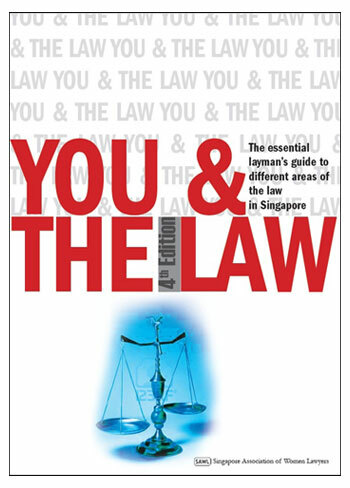 You & the Law is possibly the only book in Singapore that simplifies 20 different areas of the law and other common topics for the lay person. Written simply, and sometimes in a question and answer format, this is a user-friendly publication for the man in the street.